Transition can be defined as the transfer of financial, leadership and programmatic responsibilities for a health program from a donor to a recipient, according to a pre-defined plan. The current importance of transition is framed by an increased focus on sustainability and country capacity to lead and manage programs as program priorities change, and external funding either declines or ends completely. Transition and/or graduation from donor support are often portrayed as a daunting prospect, filled with uncertainty, and threatening the outcomes attained in a particular program area with donor funding. However transition need not be a negative experience. Health program transitions vary substantially. 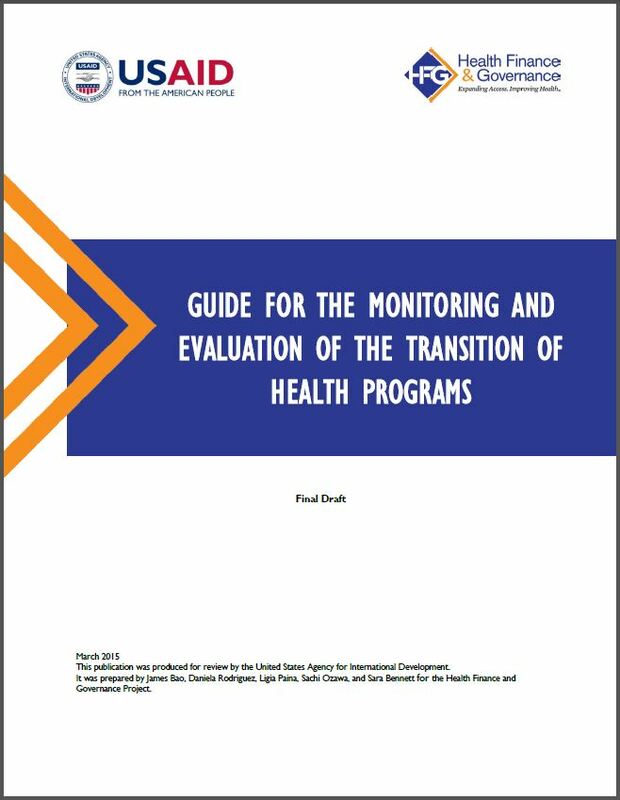 The Guide for the Monitoring and Evaluation (M&E) of Transition of Health Programs is motivated by the idea that through M&E, the transition processes can be strengthened in a fashion that develops local political will, helps mobilize local financial and technical resources, and establishes lines of accountability after donor support is complete to promote long-term sustainability. In a recent issue of USAID’s journal Global Health Science and Practice, the authors describe the conceptual framework with four main domains relevant to transitions—leadership, financing, programming, and service delivery—along with guiding questions and illustrative indicators to guide users through key aspects of monitoring and evaluating transition. Those commissioning the M&E of transition should be clear about why they are undertaking M&E: to strengthen the implementation of transition strategies; to assess whether or not elements of the program are ready for transition; or to understand the effects of transition over the longer term. Different motivations for the M&E of transition will likely lead to different M&E designs. Conducting M&E of transition processes is not yet a well-established form of evaluation, and it seeks to examine a highly complex process. There are no perfect solutions to addressing these challenges, but the guide concludes with suggestions for managing them.